What happens when technology jumps out of the computer screen and becomes part of the clothes we wear, the streets we walk on and the floors we dance on? 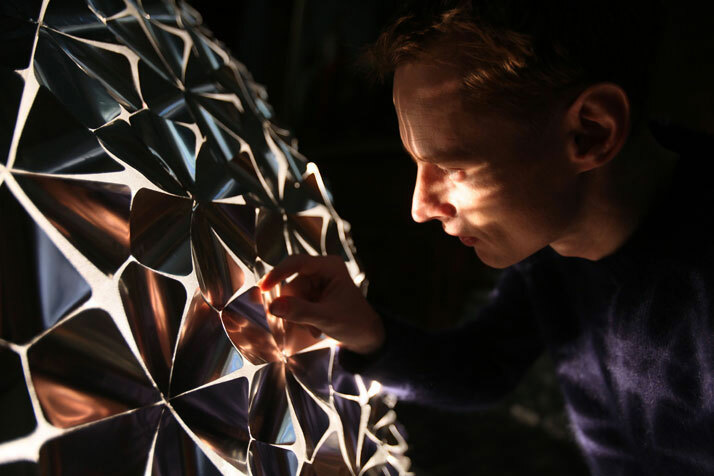 A self-proclaimed ''hippie with a business plan'', Daan Roosegaarde started out with sculpting and gradually fell in love with technology as he looked for more life-like materials to merge his wild imagination with useful innovation. But who would hire somebody to conceptualize the future? Is that even a viable profession? I hear you ask. Apparently it is, and it’s one that Dutchman Roosegaarde truly loves. Portrait of Daan Roosegaarde in front of the Lotus Dome installation in the Sainte Marie Madeleine Church in Lille, France. Focusing on interactivity as much as sustainability, the 34-year-old designer and his techno troops started exploring new ways of connecting people to their environment, which would soon lead them out of the galleries, out into the great wide open. And that’s where Studio Roosegaarde would stay, in public spaces, where it belongs. DUNE 4.0 at Netherlands Media Art Institute Montevideo Amsterdam, NL. Photo © Studio Roosegaarde. 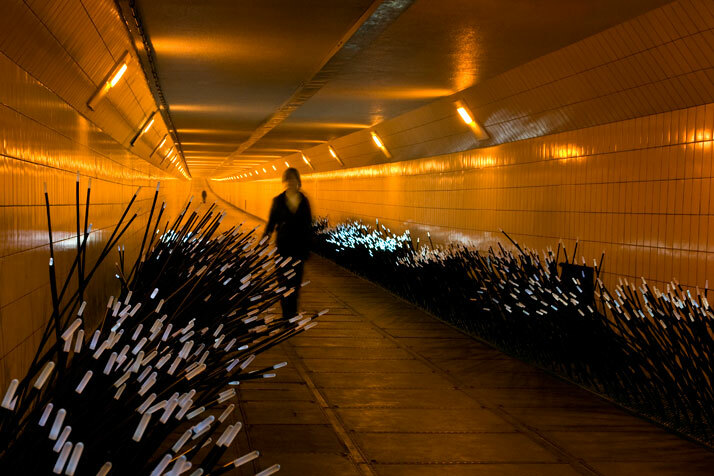 DUNE 4.1 at the Maastunnel in Rotterdam, NL. Photo © Studio Roosegaarde. DUNE 4.2 at the Maas River in Rotterdam, NL. Photo © Studio Roosegaarde. DUNE 4.2 at the Maas River in Rotterdam, NL. 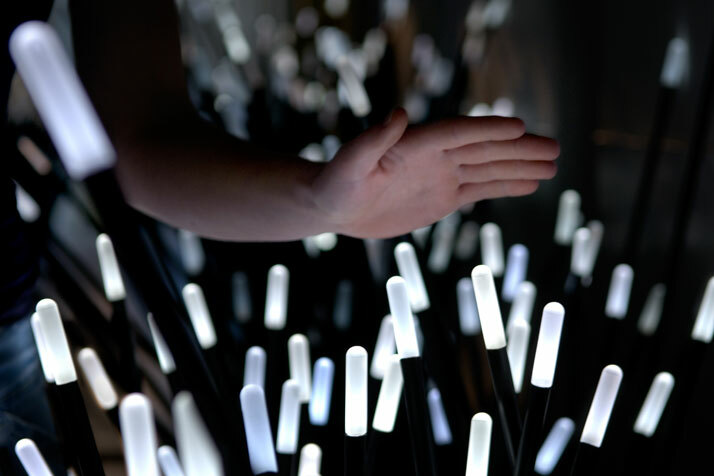 Video © Studio Roosegaarde. 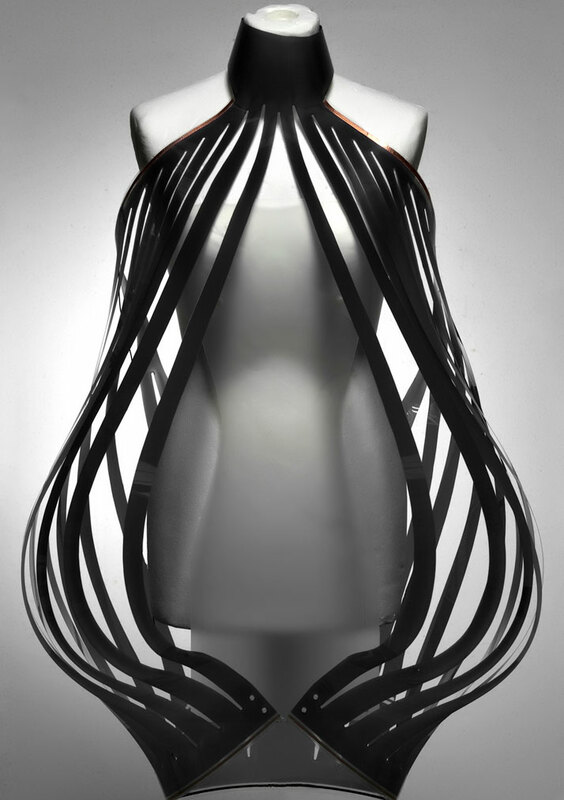 INTIMACY BLACK interactive fashion by Roosegaarde. Photo © Studio Roosegaarde. Who says you can’t combine business with pleasure? 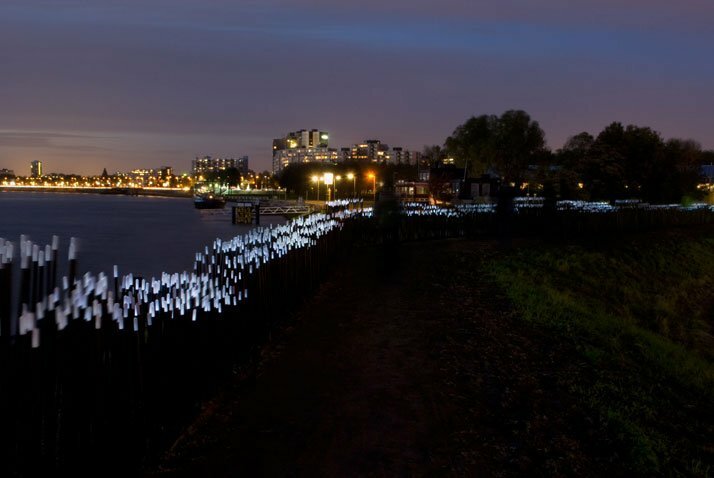 In 2010, Roosegaarde engineered one of his greatest hits in the form of ''Intimacy White'' and ''Intimacy Black'', a cross between electronic paper and liquid crystal that became transparent when people became sexually aroused! This cheeky, peek-a-boo fabric was tailored into a skin-tight dress, connected to the model’s heartbeat that caused controversy wherever it went. Some women claimed it was humiliating, while others said it marked a brand new era of seduction, all the while propelling Studio Roosegaarde into unprecedented stardom. Apparently they are now considering a new business suit version for the banking world that turns transparent when you lie! 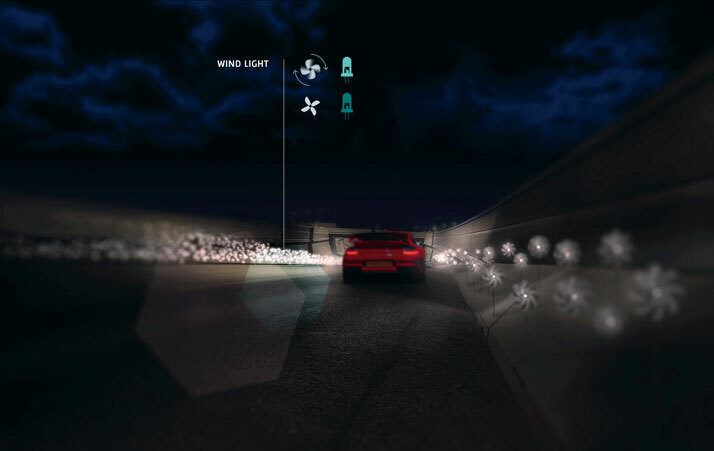 SMART HIGHWAY by Daan Roosegaarde and Heijmans. Photo © Studio Roosegaarde. 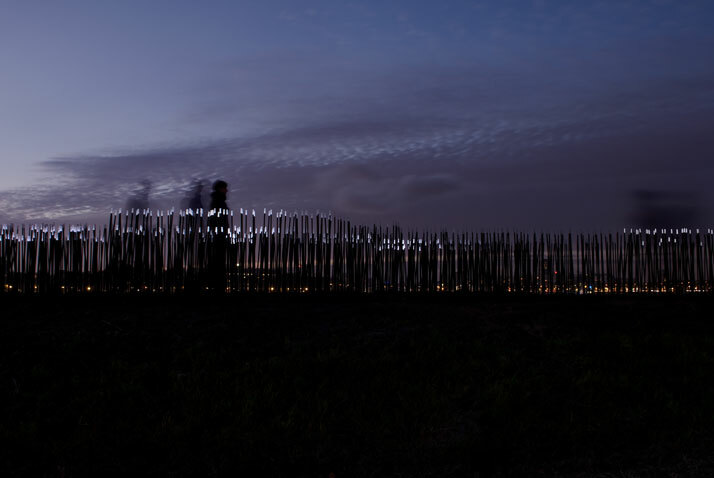 If there’s one thing Daan Roosegaarde never imagined, that would be that talking about the work would be as important as the work itself. He always believed that all he had to do was make something and that people would figure it out themselves. He was wrong. In the past couple of years he’s become quite the celebrity in the lecture circuit, which has taught him a very important lesson: public speaking isn’t just about engaging the audience but engaging new partners. In one such presentation, he happened to catch the attention of Heijman’s CEO, one of the largest road manufacturers in the world, forming a partnership that is set to revolutionize the road system. 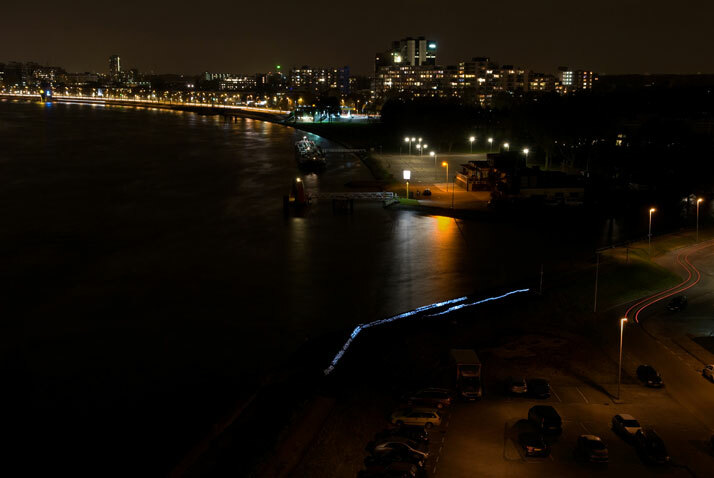 Revisiting the idea of energy-generating landscapes, Roosegaarde came up with a line of paints that change color based on temperature warning drivers of bad weather which charge by day and glow by night. 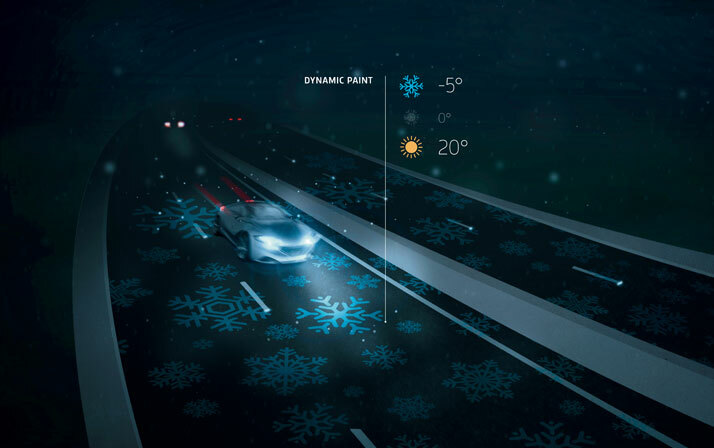 This genius concept not only eradicates the need for street lighting and electricity, but potentially allows for priority lanes that could charge electric vehicles as they drive along the road. ''My inspiration was jellyfish. How can they generate their own power so deep underwater without a battery or solar panels? There’s a lot to be learned from that!'' says the designer. 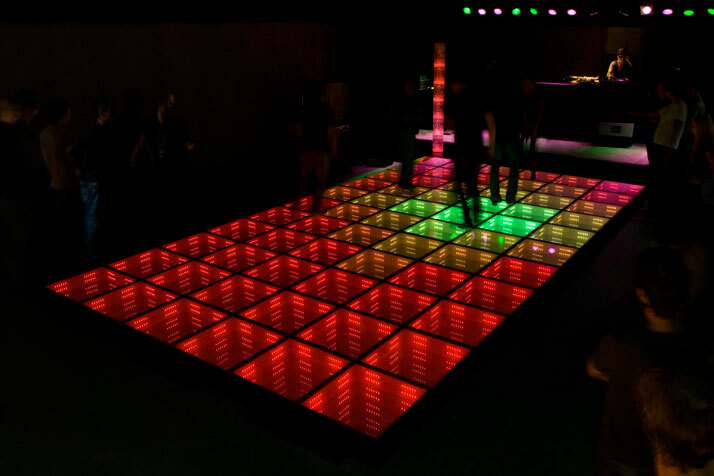 SUSTAINABLE DANCE FLOOR by Daan Roosegaarde. Photo © Studio Roosegaarde..
Daan Roosegaarde was beginning to get bored with all that talk about sustainability, solar panels and windmills, just to generate energy. After all, people did it every day just by putting one foot in front of the other. 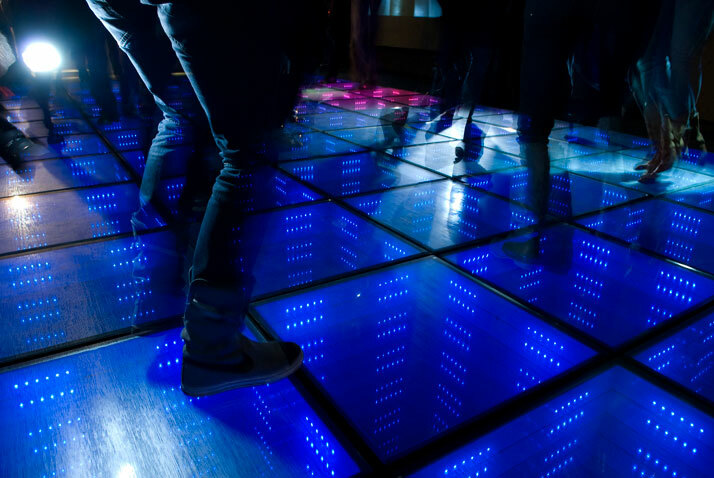 Merging experience and innovation, he barged into the local nightclub scene harvesting energy with a specially designed floor that generated electricity when you danced on it! The thrill of conquering uncharted territory and coming up with a proposal that would fit that specific environment was just the icing on the sustainability cake. His energy-harvesting floors are currently touring the club circuit as we speak, proving that sustainability is not about doing less, it’s about doing more. ''The physical world is crashing, both in terms of economy and energy. Europe almost feels like an open-air museum. The previous generation screwed up pretty good so it’s up to us to merge innovation with imagination, bring together entrepreneurs with artists, and make things that feel open and alive. It’s our turn to propose the future…'' Amen! 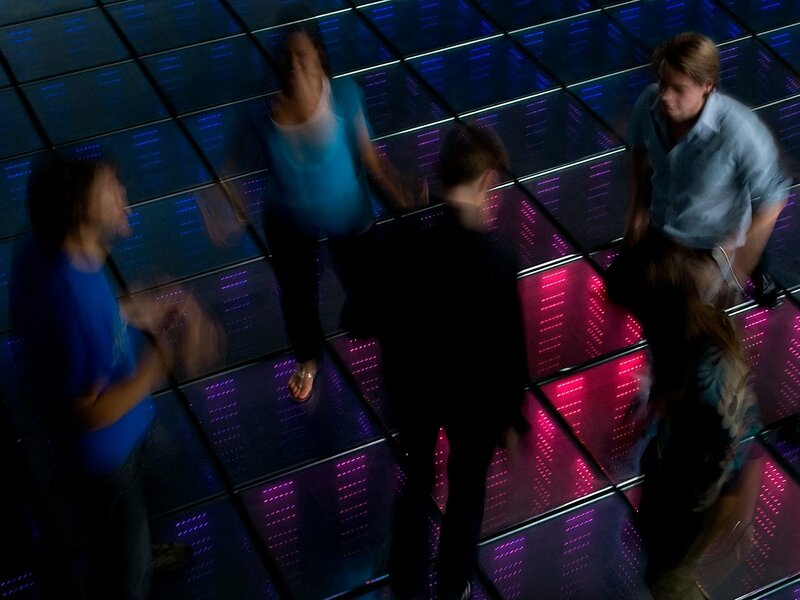 SUSTAINABLE DANCE FLOOR by Daan Roosegaarde. Photo © Studio Roosegaarde.